Since it’s January now, you’re probably getting pretty sick of dark skies, short days, and chilly temperatures. If so, how about mixing things up a bit this February. Next month eBook DesignWorks will be giving a self-publishing workshop at the San Miguel de Allende Writers Conference in San Miguel de Allende, Mexico, and we would love to see you there. This is our favorite publishing conference of the year. It’s the largest in Latin America, yet the event has a boutique feel and warm, friendly vibe, which we love. It’s five days of intensive writing and publishing workshops, round tables and keynotes with authors you’ve actually heard of, agent pitch sessions, after-hours fiestas, and more. You’ll learn a ton, get inspired, and feel like you’re on vacation. Don’t worry if you haven’t dusted off your Spanish since high-school — the Conference is an English-language event. If you haven’t been to San Miguel de Allende, think about calling in sick for a few days and flying down for a visit. SMA is a colonial gem (on Mexico’s list of “Pueblos Mágicos”) and UNESCO World Heritage site. Imagine cobblestones, 17th-century architecture, bougainvilleas, friendly people, and phenomenal food. Warning: If you come, you’ll probably never want to leave. You don’t have to take my word for it. 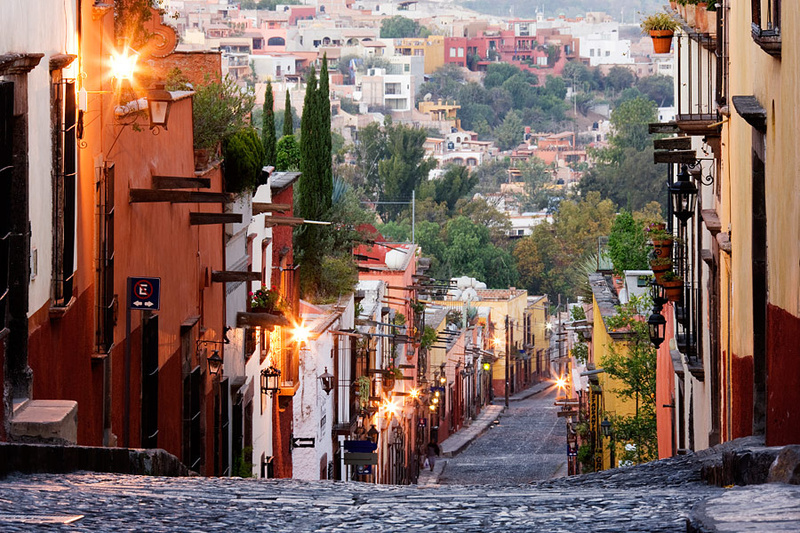 The New York Times and Travel + Leisure agree that San Miguel de Allende is special. On February 19, 2017, Mark (EDW co-owner & production director) and I will be giving our popular “Understanding eBooks” workshop, a fast-paced 90 minutes on ebook production for authors. We cover a crazy amount of material including ebook formats and how to chose which ones you need, self-publishing options, budgeting, how to create a realistic book production timeline, distribution options, and more. This isn’t a “How to design my own ebook” workshop. It’s about how to manage the self-publishing process in an organized, knowledgable, professional way and get high-quality ebook and print books delivered on-time and on-budget. Writing a book is a big deal. Your publishing process should be joyous and satisfying, and your book (print and ebook versions) need to be high-quality in order to succeed. Mark and I are passionate about this workshop because we know from experience that informed authors make better decisions and get better results. Don’t worry if you aren’t technical…that’s the whole point. This is an overview for authors. You don’t have to be technical or have completed your manuscript to attend and benefit. We’ll also be offering 30-minute planning sessions so you can sit down with us and create a solid project roadmap. We’ll ask you about your manuscript, publishing goals, and budget, and then make recommendations for how to proceed. Will you need fixed-layout or reflowable files? Do you want to sell a print book too? What type and amount of artwork can you include and how will it affect costs? What kind of functionality can you expect from your ebook? How much time should you allow for print and ebook production so you can plan your book launch and marketing? What are the difference between Amazon CreateSpace and IngramSpark for print on demand? These are the sorts of things we’ll discuss. Whether or not your manuscript is finished (or started), come on down. You’ll learn a ton, meet like-minded people, have a great time in Mexico, and leave with a smart publishing plan for the new year. I’ve pulled together links to the Conference website and other helpful things below. Take a look, then go book a flight. This is going to be a great event, and Mark and I would love to meet you. We’ll be offering special packages to our workshop attendees, but that’s still a secret, so you didn’t hear it from me! Local airports: Leon (BJX) has the most flights, but Queretaro (QRO) works too. Airpot Shuttle: BajioGo or, if you’d prefer a private driver, contact Daniel (he’s bilingual) at TranportArte. He’s fantastic. Hotel: The conference is held at the Hotel Real de Minas, and they’re offering discounts for Writers Conference attendees through January 4. Renee D'Antoni: Renee is an editor, photographer, and owner of eBook DesignWorks.